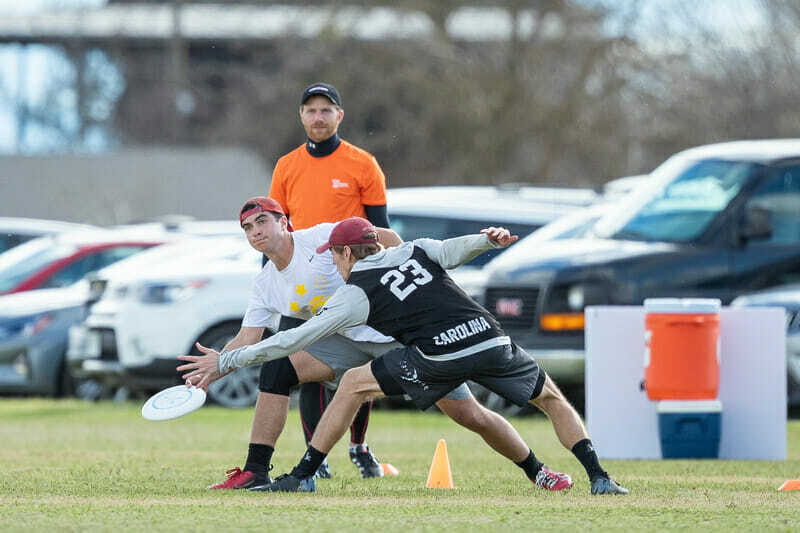 Ultiworld’s 2019 Men’s College Awards are presented in part by VC Ultimate, outfitting the world’s best players since 1998. They are also presented in part by the National Ultimate Training Camp, who can help prepare you to be an All-Star. All opinions are those of the authors. The Player of the Year watchlist is bursting with contenders, as many top teams play deep into their benches. 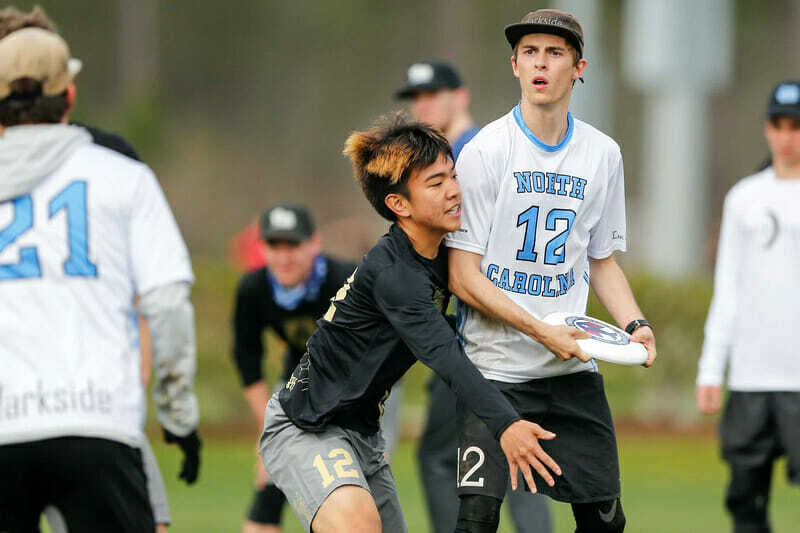 It’s not easy to identify the top player on #1 North Carolina, #5 Cal Poly SLO, or #15 Carleton; elsewhere a few familiar names have unsurprisingly emerged as strong candidates. Even those who ultimately fall short of the POTY podium will crowd other award and All-America conversations. Another talented freshmen class — seemingly the standard at this point —makes for a similarly exciting Rookie of the Year race. Without further ado, let’s take a look at who are on the shortlist based on their play so far this spring. Take Johnson away and it’s unlikely #3 Massachusetts earns a bid for the New England region, nevermind looking like a national contender. On offense, Mac Hecht is Brownian Motion’s ignition switch: without him, their offense is one dimensional. With him, they’re practically in the fifth dimension. Hecht is one of, if not the, most powerful throwers in the college game. While his backhand is excellent, it’s his cannon of a flick that has spelled doom for countless opponents over his tenure at Brown. Like Johnson, Hecht’s impact on offense simply can’t be overstated, and while Brown’s offense is still serviceable if he’s sidelined, they’re nowhere near a championship threat. UNC suffers from a problem that everyone wants: having so many good players that it’s tough to pick out any one in particular as the most impactful. For the past couple years, that title has belonged to Gouchoe-Hanas. He even won the award in 2018. But is 2019 the year that Long finally supplants him as Darkside’s alpha superstar? Long’s at the disadvantage of playing mostly defensive points, meaning he doesn’t have as many opportunities as Gouchoe-Hanas to show off his potent offensive skills. But UNC’s defense has been so exceptional this year that Long could claim this award regardless. He’s a fabulous defender, but also an offensive maestro on the turn, conducting the backfield and going every-other when need be. We’ll see how Darkside’s title defense run plays out. Should they continue their unrepentant dominance, it’s easy to see one of the two walking away as POTY. The elder Ing is one of the best players in the division and indisputably the top dog on one of the few legitimate title contenders. Excluding him from this list would be irresponsible. The elder Chambers was the primary catalyst behind Texas’ great Stanford Invite performance and he remains the best player on a national semifinals-good TUFF squad. Should CUT finally start to live up to expectations in the postseason, Lanier will likely earn a spot in the POTY conversation. He’s too impactful and talented not to be. A virtual unknown heading into the year, Paul has been USC’s best player in the team’s most successful season ever — even in the midst of another strong year from teammate and preseason darling Sam Cook. With Lockdown’s shallow bench, Paul has a disproportionate impact on both offense and defense. If Matt started the year simply as “Noah’s younger brother,” that’s not the case anymore. Despite playing with only one hand at Stanford, the younger Chambers was integral to the #10 Texas offense. 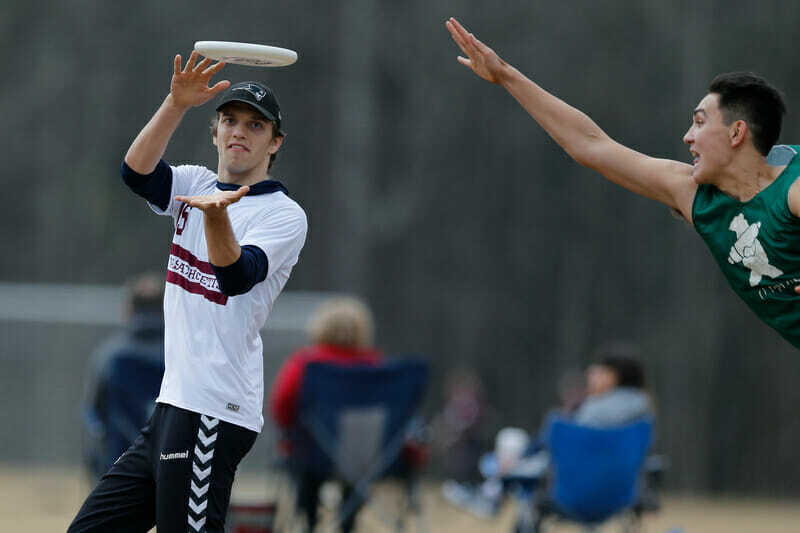 His bevy of break throws and crafty handler cuts kept defenders on their toes. Not that this surprises anyone who already knew him. Chambers played quality minutes for Dallas Public Enemy while still in high school. He actually graduated early to enroll at UT for the spring semester. TUFF has to be ecstatic with that decision. The younger Ing has made an instant impact on Pitt’s defense, often given the task of shadowing the opposition’s most dangerous cutter. Against UMass at Classic City Invite, he spent the entire game matched up against the most difficult cover in the division: Tannor Johnson. This gif illustrates how it went. But the fact that Nick Kaczmarek entrusted him with the matchup shows how highly Pitt values Ing’s blooming defensive chops. He’ll be vital to Pitt’s bid for a repeat finals appearance at Nationals. Amongst the many talented rookies Cal Poly can deploy, Calvin Brown has been the most impactful. As a key cog in SLO’s O-line, Brown is a swiss-army knife, able to do it all and do it well. He’s an extremely competent receiver, but perhaps the most dangerous part of his game is his distribution. Brown can break the mark and unleash precise hucks at a moment’s notice, making him a difficult cover for even the most tenacious of defenders. 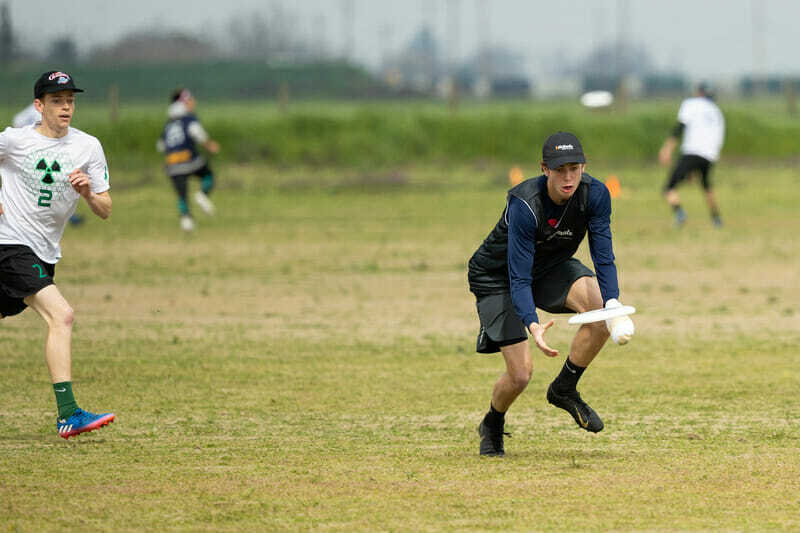 With no Joe White or Luke Webb suiting up with CUT for much of the spring, Preiss has stepped up to become a consistent cutting threat on an otherwise inconsistent team. It’s the year of the younger brother, apparently. Axel has played superb defense this year and contributed plenty after the turnover. He helps lessen the load on his brother, Sion, who isn’t forced to cross over to D-line as much. 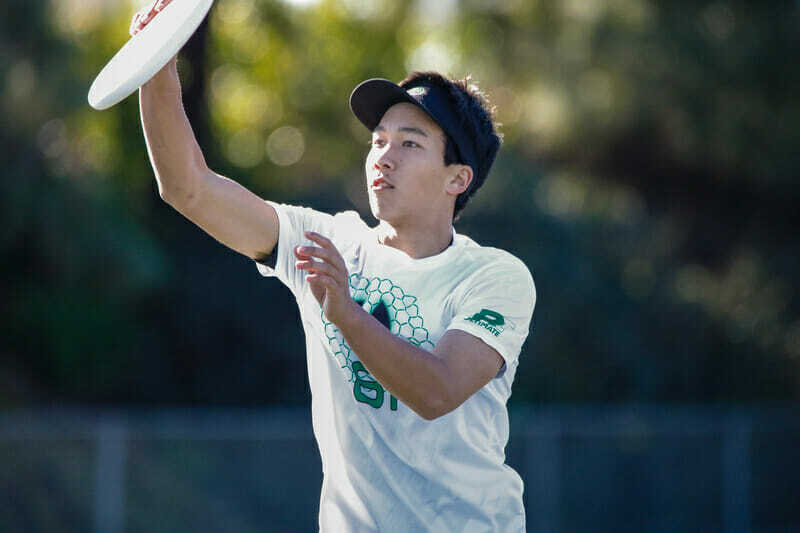 Another rookie making huge contributions to SLO’s offense, Koo is a role player that plays his role exceptionally well. 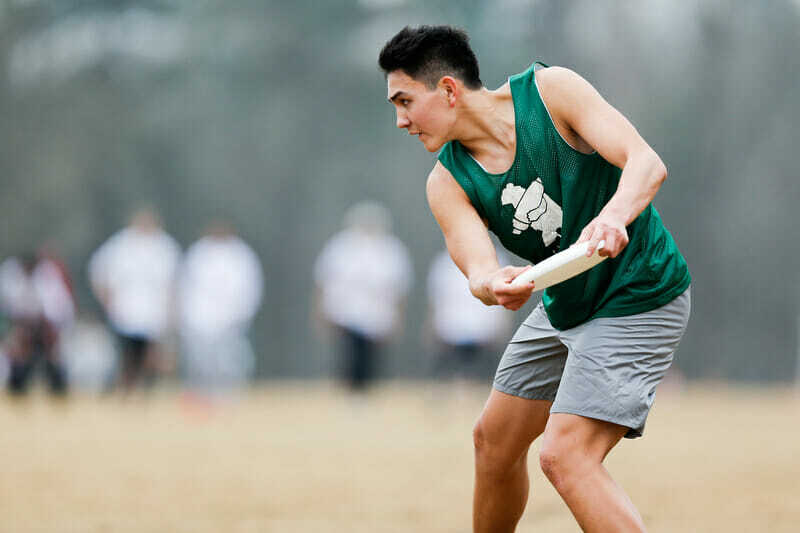 Comments on "2019 D-I Men’s College Awards: Midseason Shortlists"